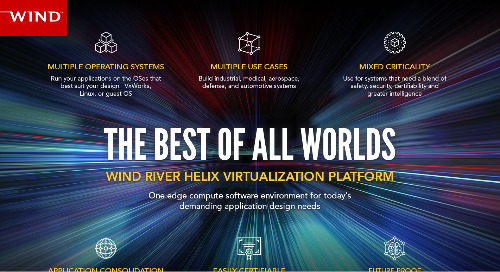 2017 is yet one more banner year for the Wind River VxWorks 653 Platform. We are proud to announce that Wind River has been recognized once again by Military & Aerospace Electronics and Intelligent Aerospace Technology with a Gold award for VxWorks 653 — a testament to the value and capabilities of this industry leading product. We also received a Platinum award for the multi-touch platform Wind River created together with Presagis and CoreAVI, which includes VxWorks. VxWorks 653 is now used by over 220 customers in over 430 integrated modular avionics (IMA) projects in over 80 aircraft. When one combines this IMA VxWorks 653 history of success with our federated/standalone VxWorks certification products across all industries, Wind River technologies are now used by over 350 customers in over 550 projects in over 100 safety-critical air, sea, and ground platforms. 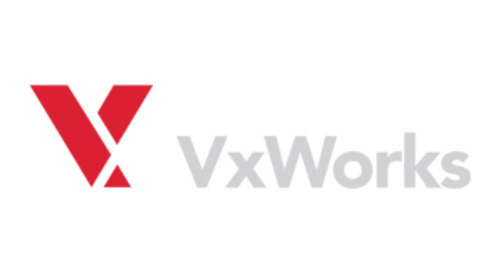 This is simply an amazing success story for our powerful certification product line and makes 2017 another great year of success for the VxWorks product line. We started off the year by achieving certified Future Airborne Capability Environment (FACE™) conformance to the FACE Technical Standard Operating System Segment (OSS) Safety Base Profile. VxWorks 653 was the first and is still the only FACE operating system to achieve this industry standards conformance. That was followed by the release of our VxWorks 653 Multi-core Edition RTCA DO-178C DAL A COTS certification evidence. Our COTS certification evidence DVD now contains over 40,000 hyperlinked files to support our customer’s safety certification requirements. 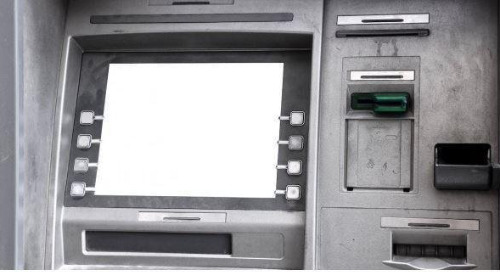 This first supported processor for this evidence was the NXP T2080, and efforts to create certification evidence for many other processors are underway. What makes VxWorks 653 so successful? Our single/dual core product, VxWorks 653 2.x, was built for enabling rapid integration of multiple application suppliers sharing an IMA compute platform, and aligns with the multi-vendor, role-based supply chain standard RTCA DO-297. Our robust partitioning and RTCA DO-330-qualified development and verification tools constrain testing to the scope of change, and eliminates the requirement to re-test the entire platform when modifying software. These capabilities save our customer millions of dollars in test and certification work per year, and increase time-to-market and time-to-deployment. VxWorks 653 Multi-core Edition adds even more capability – it fully utilizes the hardware virtualization assist of advanced multi-core platforms and supports unmodified guest OS environments assigned to one to many cores. This will enable the rapid migration of legacy ARINC 653, POSIX, FACE, and VxWorks applications onto next generation multi-core silicon. In fact, VxWorks 653 Multi-core Edition may be used with systems that only have Linux applications that are constrained by the high cost of change and re-test. 2018 will be another exciting year for the product with expanded processor support and the continued expansion into new markets, such as industrial and transportation, where virtualization and safety certification capabilities are critically important. We look forward to updating you in the near future with these new developments!